Benny Blanco’s artist project got off to a flying start with “Eastside,” a collaboration with Halsey and Khalid that cracked the top 20 on the Billboard Hot 100 and topped the charts in the UK. Since then, the super-producer has shown his versatility with a pair of oddball buzz tracks (“I Found You” and “Better To Lie”). 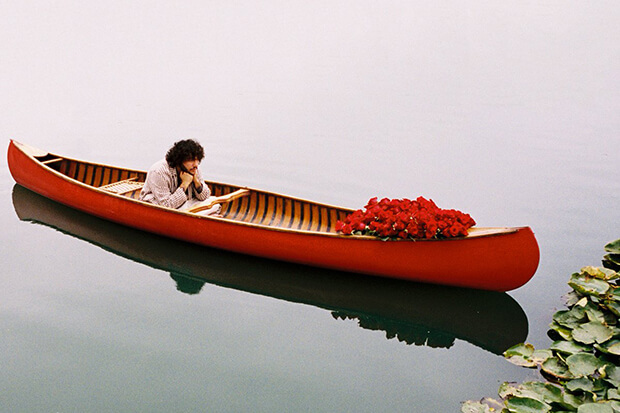 It looks like the curly-haired hitmaker is ready to ready to the airwaves, however, with “Roses.” This gloomy bop marries generations of emo by featuring Juice WRLD and Panic! At The Disco frontman Brendon Urie. “All these kids, Juice WRLD, and all these [emo rappers], they grew up worshiping these guys. The whole Warped Tour movement,” Benny told Zane Lowe of the gloriously unhappy union on Beats 1. “How has no one put together the emo dudes with the emo rappers? How has that not happened?” So he decided to make it a reality. “I asked Juice… ‘how are we not putting the dude form Panic! At the Disco on this, Brendon Urie? '” The “Lucid Dreams” rapper was immediately down for the collaboration. Listen to this long-overdue meeting of the minds below.